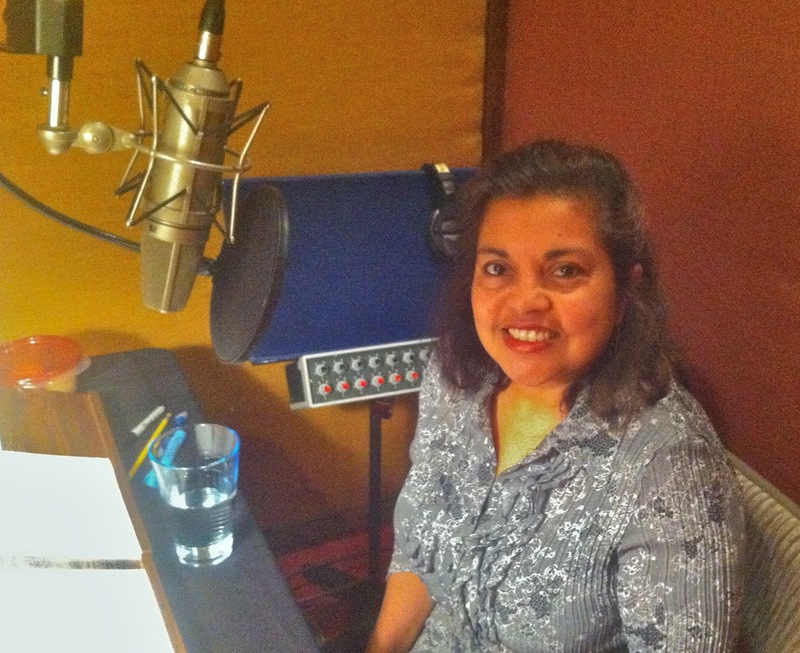 To kick off my writing vocation in Northern California, Brilliance Audio sent me to Fantasy Studios in Berkeley to record the introduction and my own contribution to OPEN MIC: RIFFS ON LIFE BETWEEN CULTURES IN TEN VOICES. This is where Lil Wayne heads after his Bay Area concerts, where Robin Williams voices his animated characters, where Journey and Aerosmith and the Grateful Dead recorded bestselling albums. I walked in feeling awestruck, certainly, but secretly I was slightly cocky. After all, when I read to our boys growing up, I tried to be mesmerizing, right? They seemed into it. And when I read in church, I strive for reverence and excellence, and people seem to appreciate it. So it couldn't be that hard to read my own writing aloud, right? Director and master voice actor Paul Costanzo gently but firmly led me through a session that lasted two hours, giving perfect examples with his beautiful voice, using inflection, pacing, intonation, and pitch to add meaning and depth to my writing. At times I swear he sounded more like a Bengali-American woman than I did. Alberto Hernandez (right) steered me through my recording session. Thanks to today's experience, I certainly won't listen to an audio book in the same way. The thought, care, and talent that voice actors put into reading our novels make the purchase of an audio version well worth it. Their voices add a whole new dimension to our stories, as I sensed while listening to the audio version of Bamboo People, voiced by Jonathan Davis. "To me, phrasing a piece of copy requires the same sensibility as phrasing a line of music," said Costanzo in an interview with the Mill Valley Literary Review. "The job of the narrator is to get the words off the page and into the theater of the mind of the listener, and the way the words take shape off the page has a profound impact on what the listener can envision." I hope I managed to accomplish a bit of that in my own narration. The audio version of OPEN MIC releases 9.10.13, the same day as the anthology, so I guess we'll have to wait and see. In the meantime, I'm browsing libraries and bookstores to find some good audio books.